A good friend of mine from MTC introduced me to Roxy Rocker. It's a club near the Shida campus that caters to the college students around the area. They have several clubs with different names. There's Roxy 99, Roxy Jr., Roxy Rocker, Roxy Mini. But I'm not much of a club person, however my friend assured me this is more of a lounge than a club. It was pretty damn cool. Loved the music. I'm a fan of 60's and 70's rock as well as some 80's. 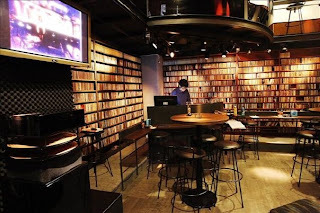 They even have a really cool lounge in the back with lots of comfortable couches and a giant library of vinyls to choose from. You can pick a vinyl and give it to the DJ to play on the next round. They even have two computers for you to browse on if your bored. But the best part, on Thursday, they give out vouchers for two free bottles of beer (with valid student ID). And there's no entrance fee. No dancing or smoke filled rooms. 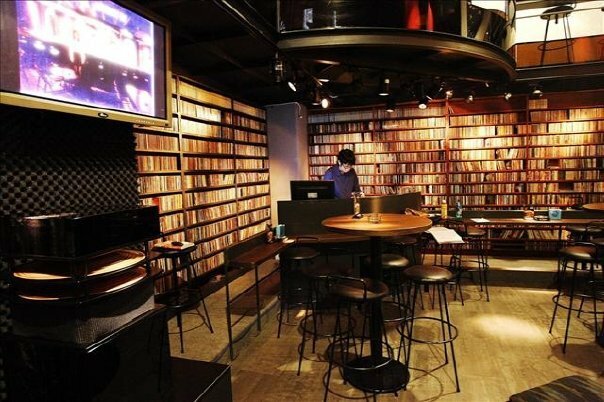 Just a clean, chill lounge, with a free beer and a huge vinyl collection. I HAVE to return! Picture courtesy of google images.